Individual Psychotherapy and the Science of Psychodynamics present an extensive examination of the basic principles of dynamic psychotherapy. It discusses the concept of constructive aggression. It addresses the analysis of expressive and defensive mechanisms. 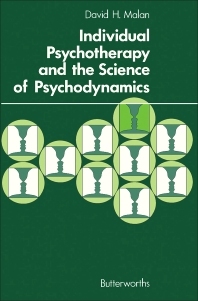 Some of the topics covered in the book are the therapeutic effects from history taking; common syndromes of sexual problems in women; qualities needed by a therapists; characteristics of unconscious communication; common syndromes of problems of masculinity in men; evolution and analysis of Oedipus complex; and Koch’s postulates in psychodynamics. The passive defenses against aggression and the link with depression are fully covered. An in-depth account of the meaning of paranoid feelings is provided. The evaluation of the oedipal depression in men and women are completely presented. A chapter is devoted to the identification of transference neurosis. Another section focuses on the origin of human aggression. The analysis of phobic anxiety, anorexia nervosa, and hypochondriasis are briefly covered. The book can provide useful information to psychologists, therapists, students, and researchers.